Thanks for stopping in! We would truly be honored for the opportunity to share in your home buying and selling experience. We've got your PCS needs covered all the way. Ok... it's time for your next adventure of your military life by PCS'ing to a new location. We have a team of Realtors® with military experience to assist you in selling your home to move forward to your next base. We have you covered on the marketing and sale of your home from free interior decorator consulting to professional 3D scans and photos of your home. We can even assist you in locating a military relocation expert at your next base. Contact us today to get started! Are you PCS'ing to Keesler AFB, NCBC Gulfport, Stennis Space Center, or to the Pascagoula Shipyard? Then we have someone to assist you who is knowledgeable with each location and is ready to serve you. So, what are you waiting for? Check out some of the gorgeous homes available along the Mississippi Coast and connect with fellow military spouses. Our website connects directly to MLS so you know the information you are receiving is accurate and updated every few minutes. Guess what else? You can favorite properties and even request a showing while browsing through the homes available. What if you only want to live South or North of I-10 or want a particular school for your kiddos, check out our Advanced Search options! So, you’re moving to the area and want to know what all the fuss is about on the Mississippi Gulf Coast? Look no further! With Mississippi having over 60 miles of coastline, visitors and residents alike have a variety of things to experience. From delicious fresh gulf seafood, miles of beaches to relax upon, and casinos to visit, Mississippi’s Gulf Coast has something to offer for everyone. Have you been to all of the fun attractions within the local area like Ship Island and alligator tours? Or, are looking for something a little farther out, but still within driving distance? Mobile, AL: Love Military History? Then the USS Alabama should be on your adventure list. The Battleship Memorial Park is open daily for exploration. Free general admission for active duty military and discounted admission for AD dependents. New Orleans, LA: From the French Quarter to the Audubon Zoo and Aquarium there is a place to explore for every age group... not to mention the food! Orange Beach, AL to Destin, FL: Amazing BEACHES... shall I even say more! Buying a home is one of the biggest investments and financial decisions you can make. While it is a major commitment and responsibility, it is also a very exciting time in your life. 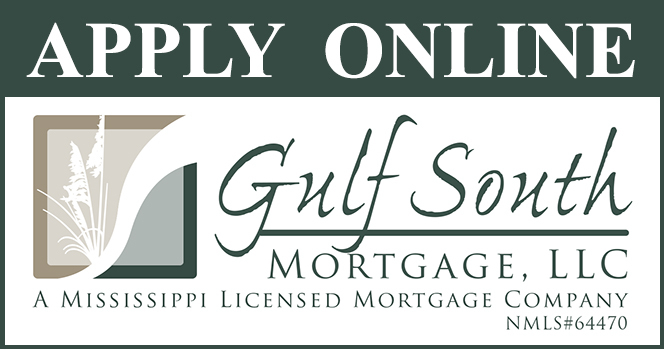 There are many positives to gain for your commitment to purchase a home in today's Mississippi Coast Real Estate Market. With that said, it's important to keep in mind that home buying is a complicated process. I will be working hard to make sure that everything is as rewarding as possible, guiding you at every step and making sure that your needs and desires are met. 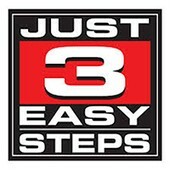 I've made the process simple with 3 easy steps! The very first thing to do is to look at many homes online to see what you like and what you don't like. This will save you time and energy before we start the home viewing process. You will start to cross off your list many areas, home styles and features by simply looking at the results from your Power Search. Don't forget to save your search by clicking on the "Save This Search" link at the top left of your search results page. By saving your searches, I will be able to email you new homes or pricing changes so you are as up-to-date as possible with what you are searching for... "The best home for the way you live your life"! Once you find some homes you like, add them to your favorites by clicking on the "Add To Favorites" link just above the photos on the property details page. This will allow you to come back to them to compare once you've done your initial searches. You can always delete these homes later if you decide. Don't forget to look into New Construction Homes... there are great incentives to buy a new home over a used one these days. Once you have some homes added to you favorites, give me a call or just click on the "Schedule Showing" button above the property photos to get started. This way I can start to setup a day to view your favorite homes to see if they stack up to the hype of the online pics and property details. Some will and some won't... it's just part of the process. Before I setup some showings I will be going over by phone some property details that you may not have thought about. Details like, water and sewer availability, flood zones, school ratings, proximity to where you work and play, closing costs, mortgage financing approval, property taxes, utility costs and down payment options. While these items may sound intimidating, they aren't. You may not be able to change the amount you are pre-qualified for, but the rest are mostly preferences and can make or break a seemingly "good deal". The process can be stressful if you don't have an experienced real estate agent to help you through the process from start to finish. So, get started now by power searching above at the top of the page. Then add the ones you like to your favorites and click on the "Schedule Showing" link to get started. Whether I help you find an existing home or help you design and build a custom home, I can't wait to help! Listing courtesy of Fairchild & Company, LLC. Listing courtesy of Adams Homes, L.L.C.. Listing courtesy of EXIT Shoreline Realty, LLC. Listing courtesy of Better Homes & Gardens RE Traditions.